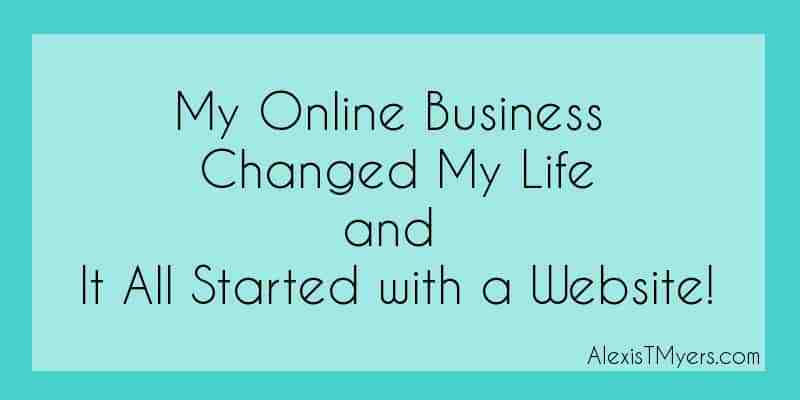 My Online Business Changed My Life & It All Started with a Website! Welcome to my first blog post in almost 4 years! It’s crazy that I haven’t blogged in so long, because that’s exactly how I got started online… blogging. In 2010 I created a website called Finding Hope Within to share my insights and lessons learned from my personal and spiritual development journey. I blogged consistently for 2 years while I studied self-help principles, worked on myself, and constantly evolved. It was a beautiful and transformative experience in many ways. I learned so much while I was blogging. Not only did I experience tremendous mental, emotional and spiritual growth from implementing and sharing the principles I was learning, I also learned more about myself and grew my skills. 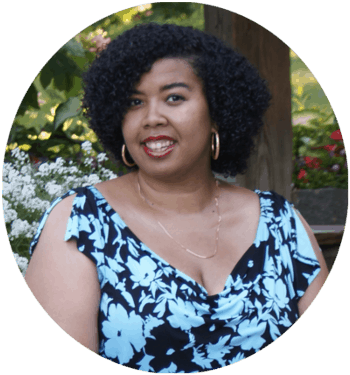 I taught myself how to create and design my website as I blogged, and in the process learned that the design and technical aspects of websites came easy to me. which inspired me to get training to hone my new technical skills, and start my own online business so I could help others who were on the same personal and spiritual development journey I was on. Starting my business was a huge turning point in my life, because prior to that, although I was in the process of finding myself, I was still lost in a lot of ways. and my abilities at all. I couldn’t see my own value without a “real job” (yet something inside of me wouldn’t allow me to go back into the corporate world), so I definitely dealt with my share of turmoil around my perceived “status in society”. I also had no idea what my life’s purpose was. At this point, all I knew was my passion for personal & spiritual development principles, entrepreneurship, online business, and websites. But just being passionate about those things and talking about them to people who didn’t “get it” left me passionate, yet frustrated and purposeless, not to mention, broke. It wasn’t until I created my business website, started marketing myself, having sales conversations and actually landing new clients, that I was able to make a difference in my own life, as well as create real results for others. I found my strengths, value and even my gifts. The more I worked with clients, the more I learned about myself, leading me to continuously invest in myself and my business. The result was notable and sizable evolution in the person I was becoming. My self-confidence grew to a level it had never been before. I could finally see my value outside of the corporate world and social situations. I started to understand my worth in the global and online marketplace. I knew the difference I could make in other people’s lives and businesses. This gave me purpose and helped me to redefine who I was from the inside out. And all of this sprouted from a website. What your personality and style are like. How you can help them. What it’s like to work with you. Whether you’re entertaining, informative or inspirational. What your passions, vision and mission are, etc. They can learn all of this by you simply sharing a link…. That’s a powerful result from a seemingly minimal action. And you know what makes this even more powerful? The fact that I created my website myself, both of them, my first blog and my business website. I did everything myself because I wouldn’t have been able to get started any other way. Hiring a web designer wasn’t even a consideration because, remember, I wanted to be in control, and because I certainly couldn’t afford it! I would have remained stuck at the stage of “being inspired” without ever being able to take the steps to start my blog that developed into my business if I had to rely on anyone else to create my website for me. And I wouldn’t have known how to tell someone else what I wanted anyway. I had to figure everything out along the way because I didn’t know what I actually wanted until I delved into the creation process myself and learned my way around. Plus, my site’s design grew and evolved just as often as I did, which has turned out to be multiple times over the years! And because I knew how to do everything, I was able to simply make the changes I needed as I needed them. No waiting on anyone else’s schedule or paying multiple times for multiple changes, just instant gratification each time. Through my entire journey my business has now evolved into me teaching the technical and strategic aspects of websites and online business. Out of my passion for helping others, I show entrepreneurs how to DIY their own business websites, because I know what it’s done for me. I became even more passionate about making it as easy and affordable as possible for others so they can MOVE FORWARD with their business websites and ultimately do their important work in the world. I’m passionate about this because I know that the tech side of websites can seem incredibly intimidating and complicated (and trust me, things were a lot harder when I first started out), which in turn stops people in their tracks from even trying because it all seems so overwhelming. When the topic of websites comes up, the conversation frequently goes into “It’s too expensive”, “It’s too complicated”, “I don’t have the time”, “I’m not techie at all”, “It seems like so much”, and the list goes on. And I’m here to tell you that regardless of what you think, it’s all DOABLE. 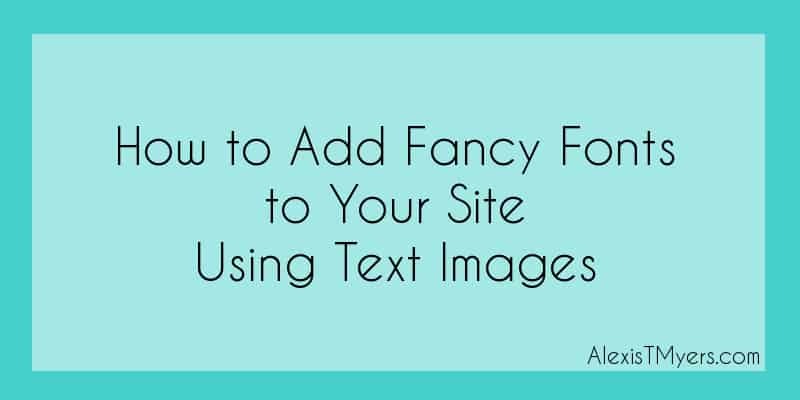 It doesn’t matter what your gifts and passions are, and you do NOT need to be a natural born tech wizard in order to successfully DIY your website. 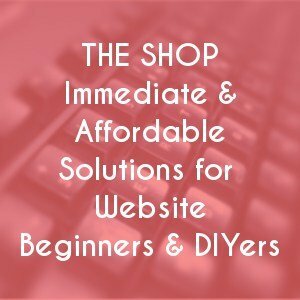 Once you learn the skills, concepts and techniques that ANYONE can learn, it will naturally remove the technical hurdles of creating your business website. And at that point, the world is your oyster. The more people that are empowered with the knowledge and skills to get their business websites out in the world, the more we are all contributing to the giant ripple effect of change and greatness. I am incredibly grateful for my journey and that it led me to exactly where I am today. And it just goes to show, learning to create your own website can turn out to be more powerful than you ever imagined! 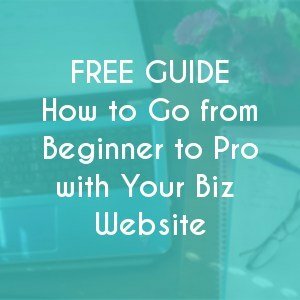 If you are considering creating your own business website take advantage of my free guide: How to Go From Beginner to Pro With Your Biz Website in 5 Simple Steps. 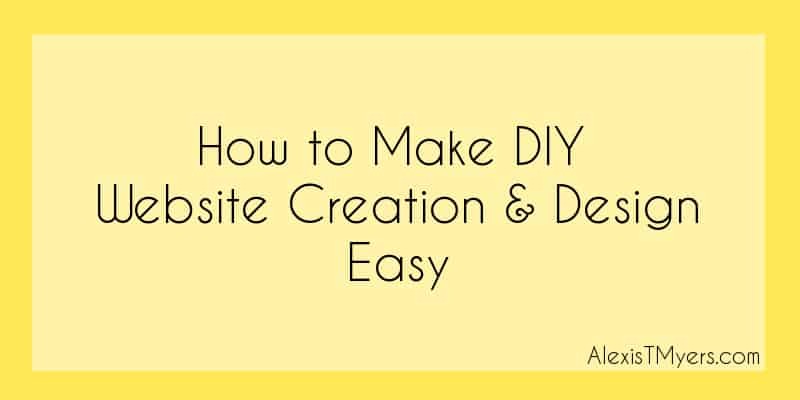 If you’re ready to dip your toes into the DIY website waters (or you already have) and you’re looking for immediate answers and solutions, check out my Shop, specifically designed for website beginners & DIYers. And if you know you want 1-on-1 support to help guide you through the DIY process, check out my 1-on-1 services here. How has creating your own website changed your life or advanced your business? How has your online business changed your life? Like what you just read? You'll Love this! Enter your name and email for instant access! Congrats on the new website! You are an inspiration to those who are still on their journey to find their purpose. Thank you for sharing this, Shelby! It’s an inspiration for all of us to learn new things and see where they take us. I have a similar story. I had a hard time learning WordPress at first but persevered. I’ve learned so much through the experience of creating my website, and it has opened the doors for me to start my business as well. WordPress has been so key for growing my biz as well. At first it was just a blog, then a blog and a contact page. Now in the past 3 years I’ve grown it to a full-sized website and I still get comments about it. It’s awesome to see you’ve grown with your website as well! I know exactly what you mean. It was a natural progression from blog to business. And it makes it so much easier when you start out on the right platform to begin with! Thank you for the inspiration Alexis! Hi! I'm Alexis. Welcome to my blog! 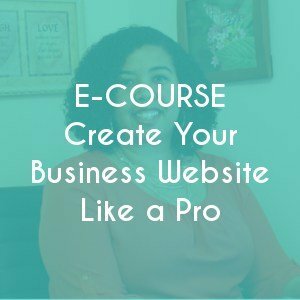 I teach passion & purpose driven entrepreneurs to create their business websites easily, affordably, effectively & authentically so they can make money and make a difference. In my blog I write about the journey of Passionpreneurship, strategies for online business, and success tips to help you DIY your business website. I look forward to connecting with you more. I hope you learn a lot and enjoy the ride! 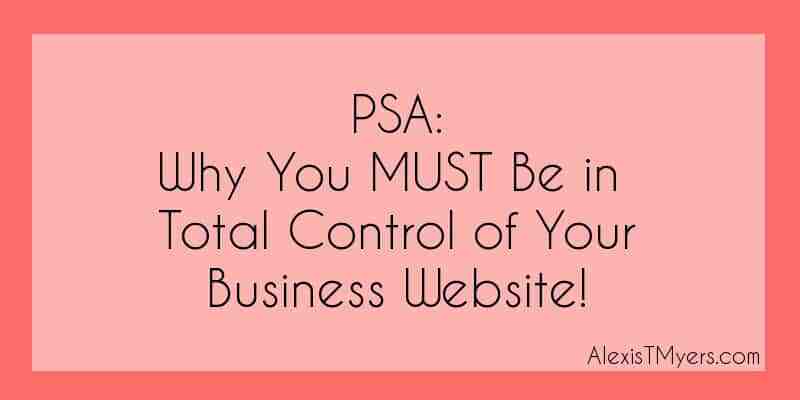 Public Service Announcement: Why You MUST Be in Total Control of Your Business Website!